This section gives schools and Early Years settings information and support in choosing an effective phonics teaching programme. Questions and answers about the phonics screening check, including a leaflet to download for parents. This is an urgent priority for the Department. Reading can change lives and we are committed to improving the teaching of reading in primary school. 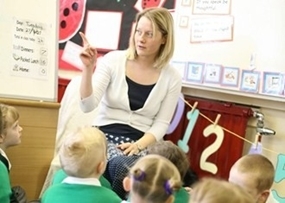 Introduction to choosing an effective phonics teaching programme covering core criteria and the self-assessment process. Information for Reception and Key stage 1 teachers about how they might respond to the results of the Year 1 phonics screening check. Answers to questions about systematic synthetic phonics, including teaching, resources and matched funding. Latest information about match-funding, and our approved supplier catalogue of systematic synthetic phonics products and training. Information for teachers and school librarians on how to encourage children to read for pleasure. Good practice advice and tips from experts on teaching the higher levels of phonics. Information on the criteria for assuring high standards for phonic work, along with explanatory notes. Information about the 2011 Year 1 phonics screening check framework.